Marion was a certified public accountant with over 12 years of experience. She started her career at the Northern Trust in Chicago working on various types of trusts including charitable remainder trusts. After that, she spent seven years working as an auditor for Ernst & Young, LLP serving a wide array of clients in various industries. She worked for Grinnell College’s Treasurer’s Office for three years, which included working with their Development Office on potential planned gifts as well as the review of charitable trust tax returns. More recently she worked for Klein, Hall & Associates LLC in Naperville, Illinois, where she audited nonprofits and prepared their tax returns. In September of 2012 she became an entrepreneur by founding I Support Community, now Inside Out Club DuPage. She lives in Naperville with her husband and three children. With 15 years of experience in volunteer and program management, fundraising and special events, Brittany’s passion lies in simplifying the process of giving back. She has a proven track record of matching the right giving opportunity with the right person or organization, and genuinely enjoys the process. After earning her BA in hospitality and nonprofit management from University of Central Florida, Brittany worked at Ronald McDonald House Charities in Orlando, San Diego and Chicago, and with the American Red Cross in San Diego. She returned to her hometown of Naperville, IL in 2014, where she lives with her husband and two sons. Rita holds a bachelor’s degree from Gannon University in Erie, Pennsylvania, where she was born and raised. 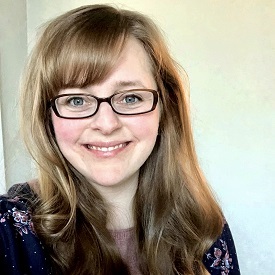 She moved to the Midwest to earn a master’s degree in journalism from Northwestern University, and then she worked for seven years in magazine publishing. Since moving to Naperville in 2001, Rita has been an active community volunteer. 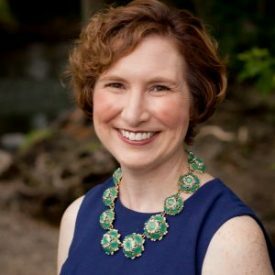 She enjoys spending time with her husband and two sons, reading, cooking, and walking along all the beautiful streets and nature trails in Naperville.